Drivers license or International driving permit in Mexico? Do you need an international driving permit for driving in Mexico or is the license from your home country sufficient? According to TheAA.com, International driving permit is only recommended but not needed in Mexico. Another source claims, that Canadian or European driver’s license is valid in Mexico, which basically confirms that international driving permit is not really obligatory. 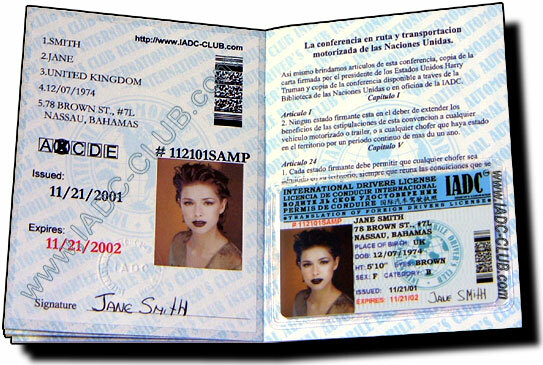 The same is is recommended by the third source, which claims, that most European driving licences are valid in Mexico, but it’s a good idea to arm yourself with an international driving licence. So how is it really? Previous statements are valid and logical since Mexico is one of the countries that has not ratified Vienna Convention on Road Traffic from 1968, according to Wikipedia, and therefore Geneva Convention from 1949 is still legally valid in Mexico. According to article 41 of Vienna Convention, Mexico is not legally obliged to recognize international drivers permit. In most cases they were completely satisfied with my Slovakian/European drivers license. Only one time, policemen required to see my Mexican drivers license because he didn’t accept my Slovakian/European drivers license as a valid one. My Spanish was enough to explain him my arguments which at the end he didn’t accepted anyway but let me drive away. Confirmed by many Mexican, you will not be asked to conduct any exams or prove of knowledge of traffic rules. The only question they ask you is if you really know how to drive. Because Mexico didn’t ratify Vienna Convention, International drivers license is only recommended and not legally recognized in Mexico, you can still use a regular drivers license from your home country, however you can’t expect that it will be accepted. Be prepared, that during police checks, a policeman can always ask you for legally recognized Mexican drivers license. If you don’t have it even your excellent Spanish skills doesn’t have to help you if the policeman wants to get some money from you. To certainly avoid any troubles it’s easiest to get Mexican drivers license, e.g. for few hundred pesos in D.F without any need of making examination.